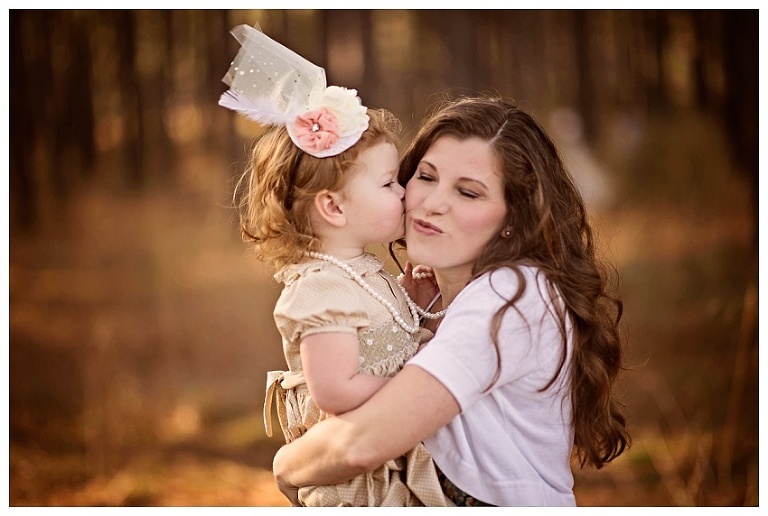 North Houston Birthday Photographer | Happy Birthday Adeline! Mom wanted a tea party theme and sweet Adeline loved it! She was so happy and excited during our photo shoot. She was loving the pretend play and the attention she got from her parents and the camera. 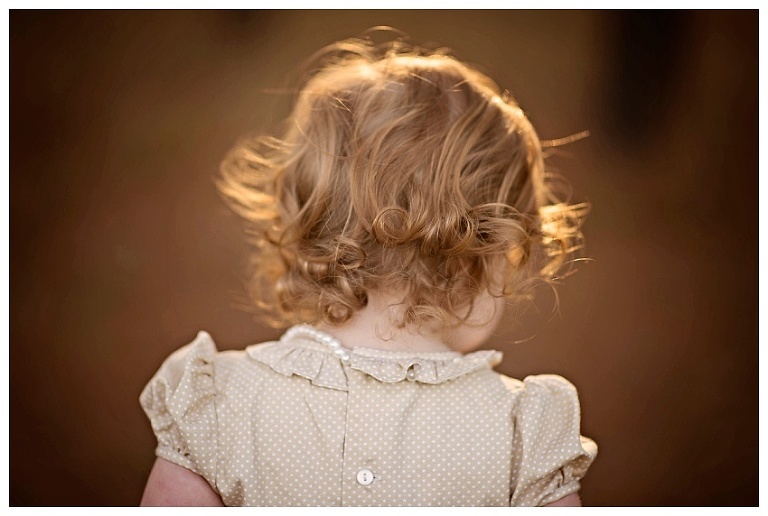 There is nothing better than a photo shoot with a happy little client! She turned two years old in January, and we had perfect weather and temperature that day! The sun was perfect along with it not being freezing cold! This session was so much fun for me, because it had a classic, timeless vibe to it. Adeline wore a headpiece that was the most precious thing ever! She looked beautiful as she sat on the opposite side of the table from her mommy and daddy. 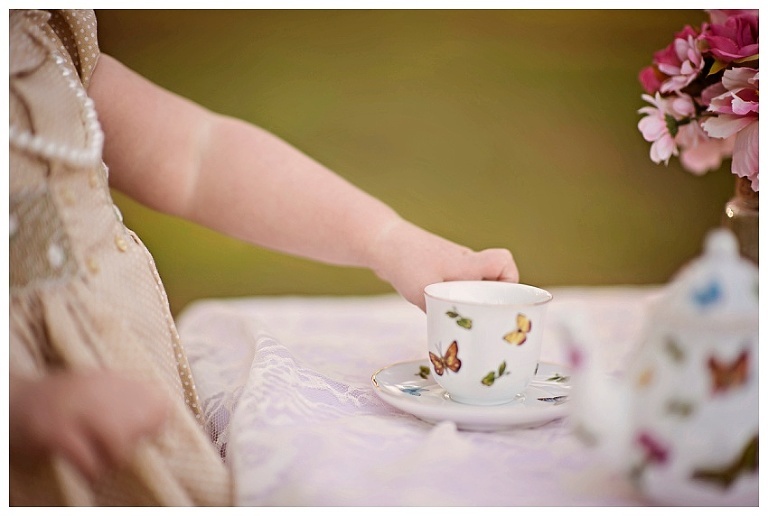 The china we used for the tea set was super cute as well, covered in butterflies! She loved the set up, and so did I! It was so funny to see her so serious and totally into the tea party! Altogether, baby A’s second birthday session was such a fun time for all of us. This sweet girl is absolutely precious, and I am glad we were able to document such sweet times in her life. Happy birthday to this little princess! I hope to be around to capture more sweet birthday memories for this family! I love being a North Houston Birthday Photographer. 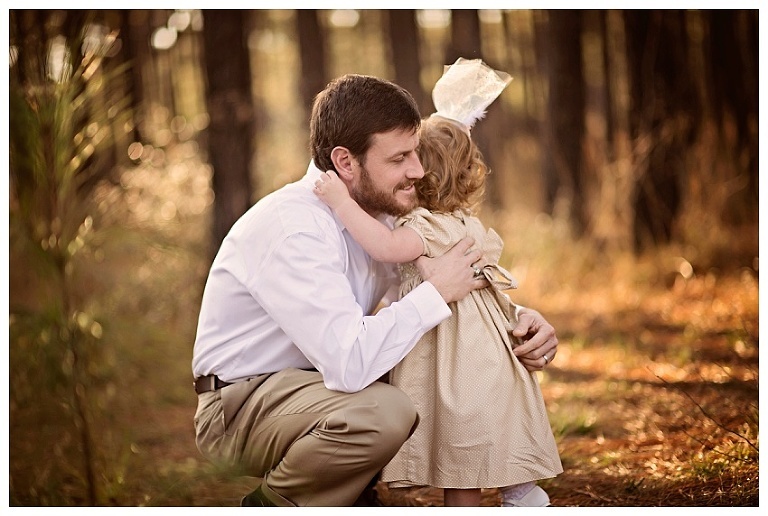 It allows me the sweet opportunity to capture amazing little ones and their families, just like this one!